Buttery rich, vanilla scented, holiday sugar cookies poured just for you. 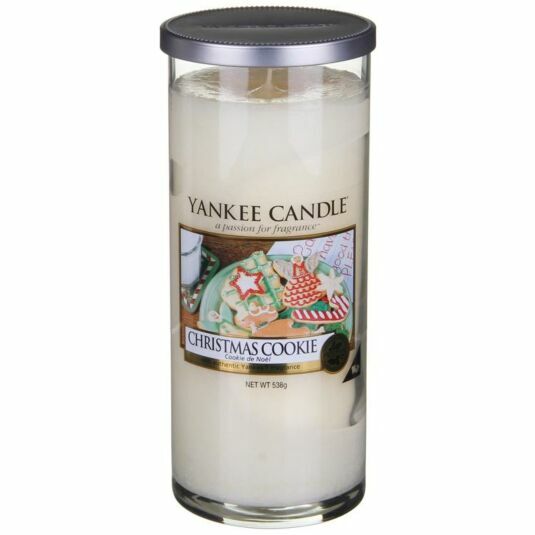 This classic pillar style jar is filled with true Yankee Candle fragrance. Featuring a brushed metal lid, a traditional size 7.5cm diameter allows for use in many pillar candle accessories. They make a perfect gift for any occasion. Features an easily removable label for more simple decorating. Each wick is hand-straightened to ensure it is centered for optimum burn as they are fragranced all the way through. Burn Time Up to 130 Hours.